In the 1950’s, the Golden Age of New York baseball, the World Series almost always meant red, white and blue bunting at Ebbets Field, Yankee Stadium or the Polo Grounds. October afternoons provided a national showcase for baseball’s premier center fielders — Snider of the Dodgers, Mickey Mantle of the Yankees and Willie Mays of the Giants. did corruptly influence, obstruct, and impede, and endeavor to corruptly influence, obstruct, and impede, the due administration of justice, by knowingly giving material Grand Jury testimony that was intentionally evasive, false, and misleading, including but not limited to the false statements made by the defendant as charged in Counts One through Four of this Indictment. All in violation of Title 18, United States Code, Section 1503. In order to assure that there was a unanimous verdict as to guilt, the Government agreed that the jury must be instructed "to agree unanimously as to which statement or statements constitute obstruction of justice." In other words, for example, the six members of the jury could not pick one or more statements for conviction and the other six pick other statements to use for conviction. The jurors would need to agree upon at least one or more actions -- in this case statements -- that constitute obstruction. The Government properly uses grand juries to investigate and prepare cases for trial. But, what happens if the Government to continue using the indicting grand jury same or even some other grand jury (new or continuing) to tie up the loose ends in the indicted case? Most of us understand instinctively that that is a problem because it circumvents the discovery rules allowed in criminal cases. This is, of course, not usually even a significant risk in most tax crimes cases. But, in the larger cases it could be an issue. The Swiss have announced a relaxed, perhaps, interpretation of their Double Tax Agreement ("DTA") Administrative Assistance provisions. The announcement is here. The action was prompted by OECD peer pressure. Basically, the Swiss signal tax cheats (and other criminals who desire, shall we say, discretion) that the Swiss will generally only respond to administrative requests only when the depositor and the financial institution is named in the request. Often, as in the UBS / U.S. recent spat, the requesting treaty partner will not know the names of the depositors, so the general requirement that the requesting treaty partner name names -- generally -- means that the Swiss can continue to offer secrecy -- generally. Although the Government must prove that a defendant was a member of a conspiracy, this requirement may be satisfied by a showing of only a “slight connection” to the conspiracy so long as the connection is proven beyond a reasonable doubt. In United States v. Mostler, 2011 U.S. App. LEXIS (3d Cir. 2/11/11), an nonprecedential decision, the Court offers some real world dynamics on the presentation of this defense to the jury. The defendant asserted the Cheek good faith belief defense. The Court of Appeals noted that, prior to embarking on a course of nonpayment of tax, the defendant did some "additional research" "largely conducted on the internet." The defendant quit paying his taxes . (The Court of Appeals decision talks in terms of nonpayment, but it is unclear whether the nonpayment resulted from (i) failure to report / file or (ii) filing returns without paying the taxes reported due or (iii) filing fraudulent returns failing to report the taxes due.) In any event, he was charged with four counts of tax evasion (apparently evasion of payment because of the courts other descriptions). His "sole defense" was that he had not willfully violated the law. We found that judges perceive significant disparities in the quality of legal representation in criminal cases, and that these disparities occur in 20% to 40% of the cases they hear. Federal judges generally rate prosecutors as comparable in quality to public defenders and significantly better than court-appointed counsel or retained counsel. First Circuit Case on Relevant Conduct and Conditions of Supervised Release. In United States v. Thomas, 653 F.3d 13 (1st Cir. 2011), here, the defendant had a long history of failure to file, failure to pay, and various acts of tax obstruction during the period. For years, the Government tried to work with him to get him into compliance, but finally gave up and brought criminal charges for six counts of evasion of assessment. That led to a lengthy saga in the district court, which the district court characterized as the most "difficult" case it had ever managed. The defendant finally pled guilty to a single count of evasion of assessment and the other counts were dismissed. The district court imposed a sentence of 24 months' imprisonment. The court also imposed restitution for the plea year (presumably pursuant to the plea agreement, since restitution is not allowed for tax crimes). On appeal, the defendant complained only about the district court's inclusion in the tax loss calculation of penalties and interest for nonplea years which drove his Base Offense Level up substantially and the district court's requirement that the defendant file delinquent returns and pay back taxes as a condition of his eventual supervised release. I cover those items briefly. The tax loss is the principal determinant in tax Guidelines sentencing calculations. The Guidelines "contemplate that the court will simply make a reasonable estimate based on the available facts." SG 2T1.1, Application Note 1. Where the tax loss is not "reasonably ascertainable," the sentencing court may use certain "presumptions" to estimate the tax loss "unless the government or defense provides sufficient information for a more accurate assessment of the tax loss." Id. And, SG 2T1.1(c)(2)(A) provides that "If the offense involved failure to file a tax return, the tax loss shall be treated as equal to 20% of the gross income * * * less any tax withheld or otherwise paid, unless a more accurate determination of the tax loss can be made." Restitution is a different concept designed to make the victim of the crime whole. Although, in tax cases, the tax loss and the restitution amount is often -- perhaps usually -- the same, it is not necessarily the same because the tax loss can, in some cases, include tax loss the defendant intended but never realized whereas restitution is allowed only for the realized tax loss. In United States v. Gillen, 2011 U.S. Dist. LEXIS 12606 (WD PA 2/9/11), the defendant entered a plea agreement in which he stipulated to the tax loss involved for purposes of the Guidelines Offense level in S.G. 2T1.1 and 2T1.4 (Tax Table). This is all routine stuff. Prior to sentencing, however, the defendant notified the Government that he would attempt at sentencing to prove a lower tax loss. The Government cried foul and move to enforce the stipulation. In United States v. Ohle, 2011 U.S. Dist. LEXIS 12581 (SD NY 2011), here, aff'd 2011 U.S. App. LEXIS 21275 (2d Cir. 2011), the defendants moved for a new trial, complaining that the prosecutors violated their Brady obligations. Prior to trial, the prosecutors turned over to the defendants a massive quantity of documents that the Government had obtained from Jenkins & Gilchrist (J&G). The format for the turn over of documents was a Concordance database, in which the documents were viewable and searchable. The prosecutors thought that all J&G documents were in the database. After trial, at the Fatico sentencing hearing, the prosecutors admitted that the turn over did not include approximately 110 boxes. The principal question presented was whether the 110 boxes contained Brady material that should have been disclosed contained Brady material that should have been disclosed, but a related question was whether a mass document disclosure without specifically identifying the Brady material was appropriate. The court, Jed Rakoff, rejected the claim, finding no Brady violation. 1. Plea to mortgage fraud (5 year count) with "total bank fraud loss, which included relevant conduct stemming from additional frauds that Shaffer perpetrated upon other banks, was $2,688,571.93." 2. Plea to tax evasion count (5 year count) with total tax loss (including relevant conduct for nonplea years, $536,228.77. 3. Plea to failure to collect, account for and pay over employment taxes (5 year count) with total tax loss, including relevant conduct, $272,209.14. Compare this sentence with Mr. Thorson's. See here and here. 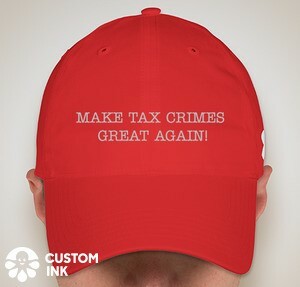 Tax crimes afficionados know that restitution is not available for a Title 26 tax crime of conviction but is available if the crime of conviction, although related to tax, is under Title 18 (often the Klein conspiracy or even a conspiracy to commit a tax offense). The exceptions for Title 26 crimes of conviction permit restitution: (i) if the defendant agrees to restitution in a plea agreement; or (ii) if the court imposes restitution as a condition of some benefit given the defendant (e.g., probation). Even when permitted, restitution has been just an order of the court which is not self-executing and requires some collection efforts by the Government unless the defendant pays voluntarily which most defendants will pay before sentencing if they can in order to get the extra juice in for the judge's sentencing discretion. Tax crimes afficionados also know that the reason restitution is not generally available for tax crimes under Title 26 is that the IRS has elaborate civil mechanisms to collect taxes, which is after all (at least in the criminal amount) the basis for restitution in criminal tax cases (whether under Title 26 or Title 18). From a civil perspective, most taxes involved in tax crimes are subject to the notice of deficiency requirement, permitting a taxpayer to contest in the Tax Court before the IRS actually assesses the tax and can deploy its collection mechanisms. Since the notice of deficiency is generally issued after the criminal tax case is finally closed, the notice of deficiency and Tax Court procedures with the prohibition on assessment often meant that the taxes reflected in the order of restitution were not assessed for years and the collection mechanisms in the Code were postponed for years. 2. The in lieu of FBAR penalty is 25% of the highest aggregate balance in the foreign account(s) from 2003 to 2010. Some taxpayers will be eligible for lower penalties. 3. Taxpayers must amend all affected income tax returns during the years 2003 - 2011 and pay the resulting taxes, pay either a 20% accuracy related penalty in the case of filed returns or the up to 25% failure to file penalty in the case of unfiled returns, and pay interest on both. These returns must be filed by 8/31/11. Some taxpayers will be eligible for lower penalties. 4. A 12.5% penalty rate will apply if the aggregate balance did not exceed $75,000 in any of the years from 2003-2010. Presumably this lower rate will be both for the in lieu of FBAR penalty and the income tax penalty. There is also mention of a 5% rate in "limited situations." Can I Just Pay and Make the Investigation / Prosecution Go Away? Criminal tax practitioners often are asked early in the representation (and often more than once) whether, if the client under investigation or being prosecuted, simply pays the tax involved -- even with interest and penalties -- will the problem simply go away. The answer that I give to this is no. (Actually, depending upon the facts and if it is early on in the investigation, the answer may be more nuanced than an outright unequivocal no, as I note later in the blog) As I have sometimes explained after giving the answer no, the investigating agent or prosecutor really does not care whether the taxes are ever paid; he or she wants a conviction. In United States v. Quinn (D. Kansas 2/3/11), the defendant tried to make the case go away by paying the tax. The defendant was prosecuted under § 7202 Willful failure to collect or pay over tax, the criminal analog to the civil trust fund recovery penalty, § 6672. Failure to collect and pay over tax, or attempt to evade or defeat tax (sometimes called the responsible person penalty). After being indicted, the defendant paid the amount for which she was charged and moved to dismiss. The district court denied the motion to dismiss. 1. Each was convicted of one count of conspiracy (Klein conspiracy) under 18 USC 371 and 2 counts of filing false tax returns under 26 USC 7212. The maximum permissible sentence for those counts of conviction was 11 years each. 2. Each received 10 years incarceration (mitigated only if they qualify for the rather minimal good time benefit). At any rate, the new decision arises from his prior conviction. The conviction was affirmed but remanded. United States v. Anderson,543 F.3d 1072 (D.C. Cir. 2008). In part here relevant, the earlier opinion permitted plea agreement restitution even though (i) the plea agreement cited the wrong Title 18 section, a phenomenon the Government urged and the court held was a scrivener’s error that did not vitiate the parties’ meeting of the minds to agree to restitution; and (ii) the plea agreement did not state an amount for restitution. The Government has obtained another indictment of one Vaibav Dahake, a U.S. depositor in an offshore financial institution. The indictment is a for a single conspiracy count. The indictment contains the standard allegations -- a U.S. depositor, a tax haven (BVI) entity with bearer shares to hide the activity, an "international bank" (reputed to be HSBC) and a U.S. division of the international bank (this element is standard to date, but perhaps not so standard in the future with other banks who avoided overt U.S. presence). The U.S. division allegedly marketed Indian banking services to U.S. persons of Indian descent. Mr. Dahake allegedly had bank accounts in BVI and India that he did not report on an FBAR. And, since the Government now seems to be focusing on the enablers, the indictment names 5 alleged bank related co-conspirators -- 3 U.S. bankers and 2 India bankers, all connected with the international bank.